Did you know under evergreen trees all over the world, Santa's toys come alive on Christmas Eve? It's true! For a period of time when you and your family are fast asleep, there is genuine glee under the tree with marching toy soldiers, beautiful princess dolls, marionettes dancing off their strings, teddy bears that tango, rag dolls that rock and roll, and so much more! Your cast members will love acting out the personalities of their favorite toys, all the while discovering that Christmas dreams, large or small, can come true, for one and all. 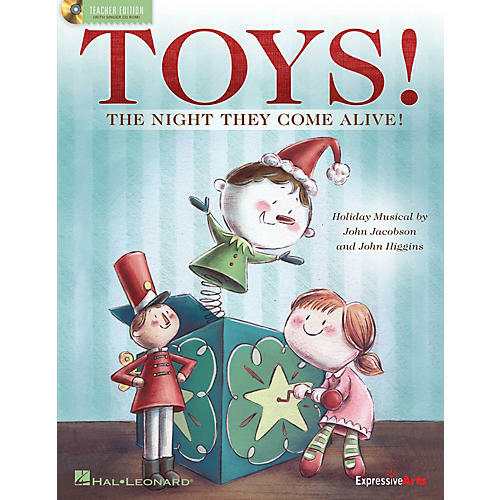 This charming holiday musical features five original songs and easy-to-learn rhyming dialog with over 30 speaking parts. The ENHANCED Teacher Edition includes piano/vocal arrangements with choreography, helpful production guide with staging and costume suggestions, PLUS an enclosed CD-ROM with reproducible singer and speaking parts. Suggested for Grades K-3. 25 minutes.